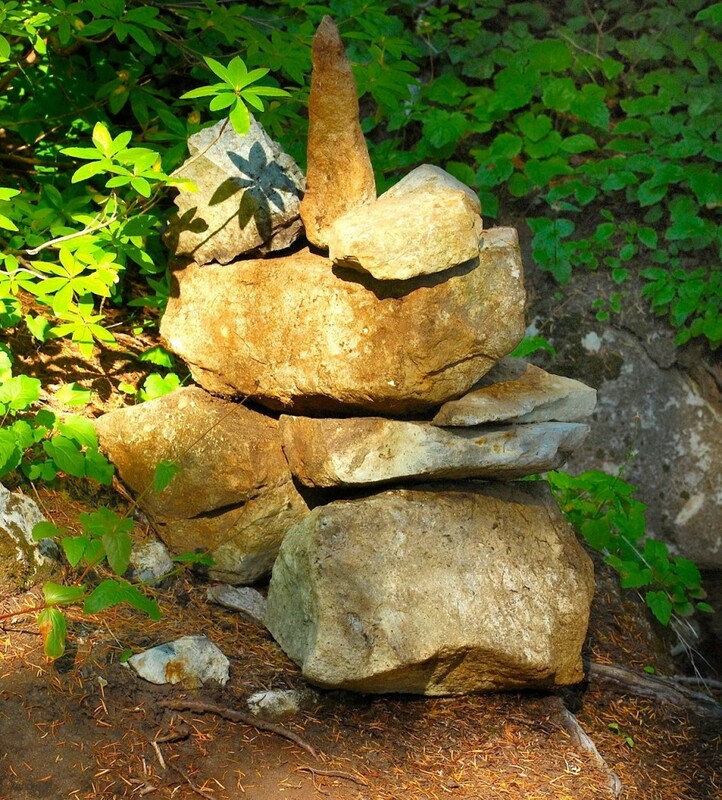 A beautiful photo of a fine looking cairn near the Pacific Crest Trail. This shot was sent to me by another family friend. He took it just south of Snoqualmie Pass, noting that it marked a side trail to the top of an unnamed peak. I think the color and contrast between the rock (granite stained with some iron oxidation) and green foliage is rather pleasing. Fall in the Pacific Northwest has been quite spectacular with lovely light, dreamy clear skies, and pleasant temperatures. Yay!